How do the products we use frame the way we see the world? 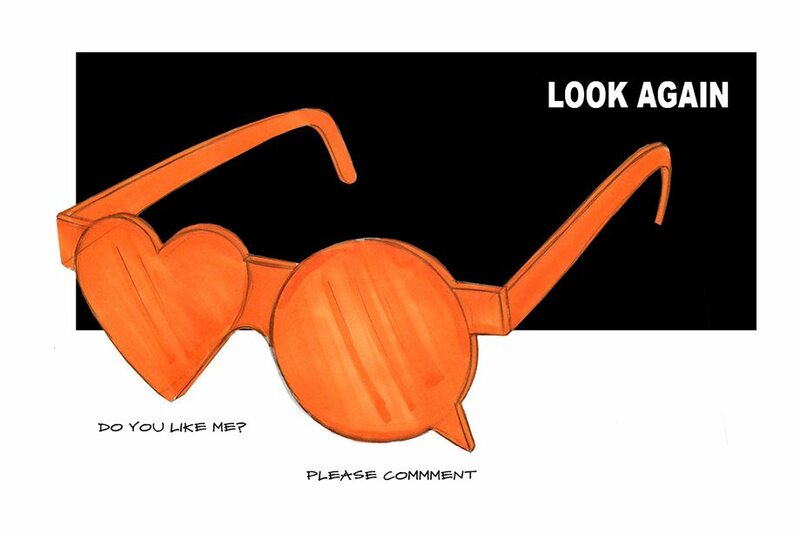 Wearing eyewear affects how people see us, and how we view our surroundings. 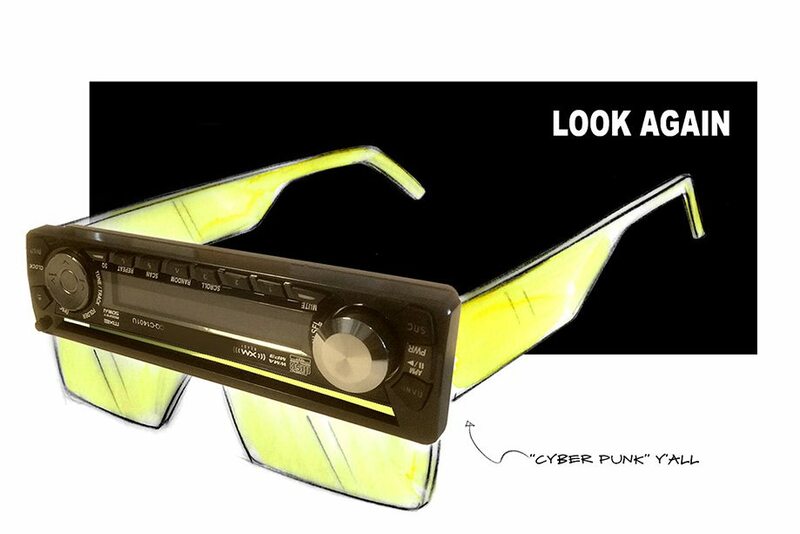 ‘LOOK AGAIN’ is an exhibit of playful eyewear prototypes by Odin Cappello, inspired by popular culture, social media, and science fiction. From Kanye West, to Bjork, to Lady Gaga, fun and adventurous eyewear and mask-like art pieces have become a highly-visible wearable accessory. 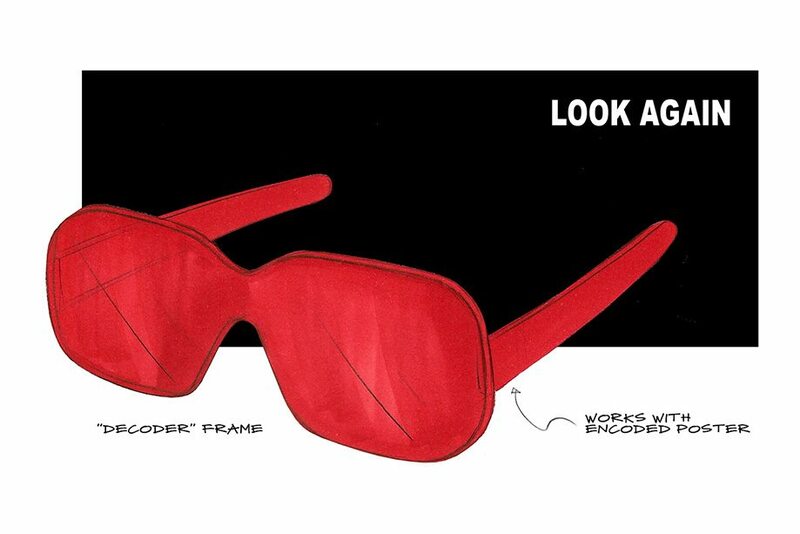 ‘LOOK AGAIN’ features one-off eyewear prototypes that visitors can try on. 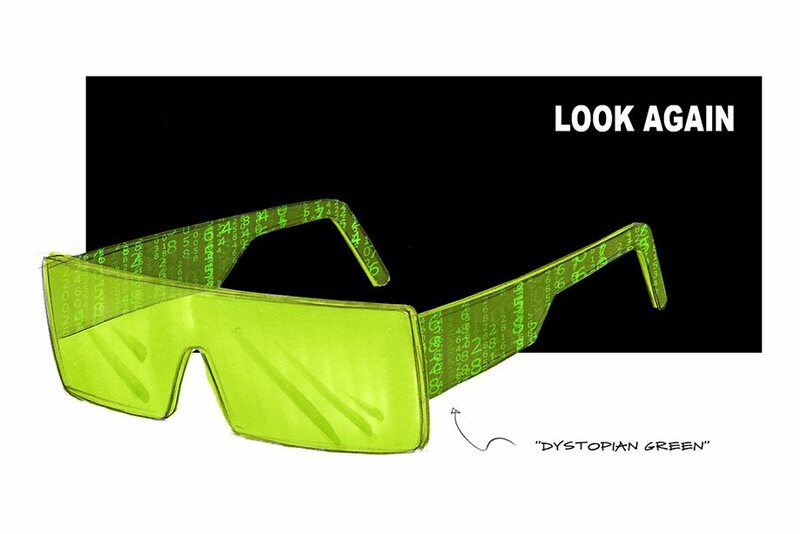 The frame prototypes fall into a variety of styles from simple colour driven sunglasses to absurd cyberpunk sunglasses. Visitors are encouraged to take selfies while wearing the prototype frames, and to use the hashtags #LOOKAGAIN and #TODO17 when posting to social media. Odin Cappello is an eyewear designer with over 10 years of experience designing for emerging brands like LA-based Kingsley Rowe, and established brands like Nike. Odin runs a design consultancy in Toronto called Design & Mischief, and teaches Industrial Design part time and Humber College. Odin is also a multidisciplinary artist and curator interested in exploring the intersections between urban life, design and psychology.